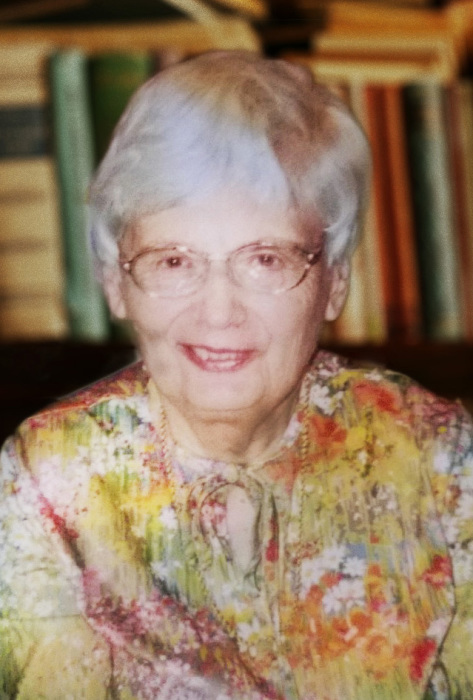 Jacqueline M. Ross, passed away peacefully on Wednesday, June 6, on her 92nd birthday, after a brief illness. Born in Dartmouth in 1926, she was the daughter of the late Alcide and Aurore Y. (Briere) Ross. Known as Jackie by her friends and relative, she was a life-long resident of Dartmouth and was a parishioner of St. George’s Roman Catholic Church of Westport. Jackie graduated from Dartmouth High School, class of 1944. She was employed for 44 years by New Bedford Gas and Edison Light Co. / Commonwealth Electric Co. in a number of administrative functions, ultimately attaining the position of Executive Secretary from which she retired in 1991. She built many lifelong friendships from her co-workers at the company. In retirement, Jackie served her community as a Dartmouth Town Meeting member. Throughout her life, Jackie was a caring and devoted daughter to her parents who lived well into their 90s. Family gatherings and celebrations with her brothers and their wives and nephews and niece were very special to her. She was a dog lover- and was especially fond of her Basset Hound, Minnie. Until his passing earlier this year, Jackie enjoyed attending concerts, special events, dancing, bowling and dining out with her companion Josie Pacheco of Dartmouth. She and Josie were active participants in the programs at the Dartmouth Senior Center. She is survived by her sister-in-law Rose M. Ross of Acushnet; a niece Darlene M. Peixoto and her husband Stephen of New Bedford and their children Anthony R. Peixoto and Stephanie M. Peixoto; and nephews: Karl D. Ross of New Bedford; Dean A. Ross and his partner Ted Ngo of Riverside, RI; and Thomas E. Ross and his wife Kerrie Bellisario of Morristown, NJ and their children Cameron J. Ross and Nathaniel J. Ross. Jackie was the sister of the late Alcide J. L. Ross, Roland J. Ross, J. Arthur Ross and sister-in-law of the late Arline Ross. A Celebration of Jackie’s Life will be held St. George Church, 12 Highland Ave, Westport, MA on Saturday, June 23 at 10:00AM. Interment will be private. Arrangements are by the daSilva’s Boulevard Funeral Home, 223 Ashley Boulevard, New Bedford. For memorial register go to,www.boulevardfh.com. In lieu of flowers, memorial donations may be made out in remembrance of Jacqueline M. Ross to Town of Dartmouth- Council on Aging, 628 Dartmouth Street Dartmouth, MA 02748 (write: In Memory of Jacqueline Ross, in the memo line).